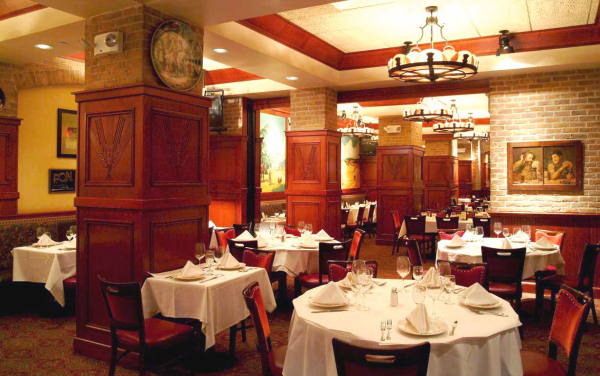 Handcrafted beers and a hearty steakhouse menu packs them in to the Heartland Brewery and Chophouse in Times Square. A handsome, 12,000-square-foot space boasts Victorian touches and a large-scale mural in the style of Thomas Hart Benton. Lunch and dinner are served daily, and all cards are accepted. 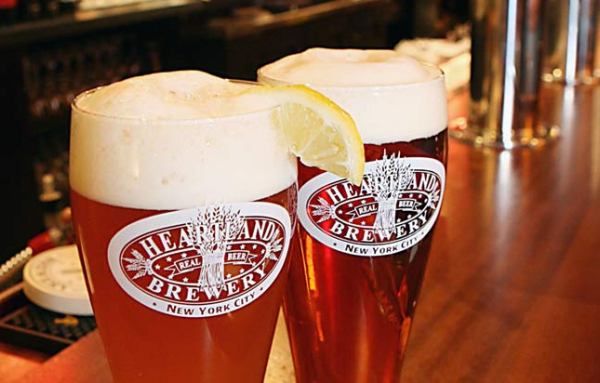 Heartland has consistently brewed New York’s freshest craft beers, including six classic brews and a wide range of seasonal ones. Brewers at Heartland assemble a variety of distinctly American ingredients to create their beer recipes. Heartland’s beers taste different than beers from Germany and Britain because they are made from indigenous ingredients such as Wisconsin malt, hops from Washington and Oregon, and American yeast. All beers are served at their freshest within one to two weeks of brewing. It did not take long for the Heartland’s brewing techniques to be recognized. Heartland’s Farmer Jon’s Oatmeal Stout won a bronze medal at the prestigious Annual Great American Beer Festival in Colorado in 1995 and a gold medal in 1997. The restaurant’s well-prepared food and carefully designed, homey setting won accolades as well. 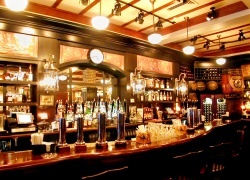 Heartland was named Best Brewpub by New York magazine in 1996 and 1997. Since then, Heartland has grown into the largest group of brewpubs in the region. 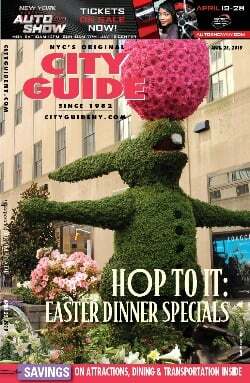 Other locations: 350 Fifth Ave. @ 34th St., 212-563-3433; 625 Eighth Ave. at 41st St., 646-214-1000. *New to the family is HB Burger, also at 127 W. 43rd Street. Follow Heartland Brewery on Twitter. Read a review by critic Richard Jay Scholem.